“To Guide my Clients to a Career and Life of Passion, Growth and Purpose." Passion creating Joy and Positive Living. Joy and Positive Living expanding within our Community. I am a happy mother of two beautiful daughters Clarissa (19) and Lauren (17). We live in beautiful Newcastle in New South Wales in Australia, 2 hours north of Sydney. My life journey has been amazing so far. I was born in London, UK. At age 5, I emigrated with my parents to the tiny French-speaking island of Mauritius where I lived for 10 years, before moving to beautiful sunny Perth in Western Australia. There I lived for 25 years before my last move 6 years ago. During my life, as most do, I experienced multiple turning points, pivotal people and overcame some major challenges. However, about 13 years ago, I realised that what I wanted was a purpose in life, a more passionate reason for being. I had tasted success, built a thriving physiotherapy practice, was raising two healthy happy children and was fit and healthy, and felt in control of my life. Despite this, I had this niggling feeling that there was more to life, more to give, more to experience and more to share…I embarked on a journey of self-development and self-discovery, learning heaps and conveying what I’d learned to many a client and friend. I knew then, at that moment that I had met my purpose. I wanted to become a life coach. I knew in my heart and soul that this was what I was meant to be doing, how I was meant to contribute to the world. Over the past few years as a coach and loving every minute of it, my vision has become clearer. My passion for helping empower our youth grows steadily, and I am now creating a program and foundation for youth in Newcastle, which I hope to launch in 2015..
My career as a physiotherapist ended in 2012. I sold my successful holistic physiotherapy practice on the other side of the Australian continent, 4000km away, and resigned from my physiotherapy jobs in Newcastle. That was one major turning point for me. 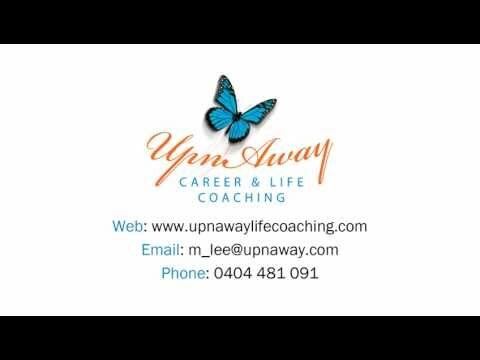 I am deeply passionate about my career as a career transition coach. It was time to take a leap of faith and walk my talk to pursue my passion! I moved through my fears and blocks and am SO glad I did! The inner peace I have found in knowing that I can be the director and creator of my life, is magical. I do what I LOVE and LOVE what I do and who I have BECOME in the process. With that knowing, I can create my dreams by following my passion as doing this allows opportunities to flow into my life easily. I can easily choose the lifestyle I want. How would you feel if you found and followed your passion? I can assist you, encourage you, guide you, supoort and teach you how. Contact me now. If you are ready to make a change, I GUARANTEE I can coach you too to be in the CAREER OF YOUR DREAMS and be living out a PASSIONATE LIFE just like I am doing right now!